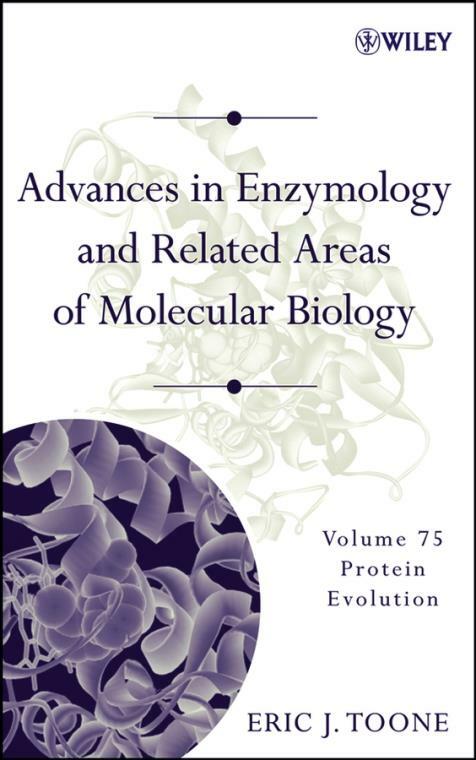 Volume 75 in the classic series Advances in Enzymology and Related Areas of Molecular Biology explores the area of protein evolution. This volume considers mechanisms of protein evolution broadly, including the use of evolutionary archeology to trace protein evolution, the conservation of structure rather than sequence in protein evolution, and the use of directed evolution to create new enzyme activities. Molecular Paleoscience: Systems Biology from the Past (Steven A. Benner, Slim O. Sassi, and Eric A. Gaucher). A Structure–Centric View of Protein Evolution, Design, and Adaptation (Eric J. Deeds and Eugene I. Shakhnovich). Mechanisms of Protein Evolution and Their Application to Protein Engineering (Margaret E. Glasner, John A. Gerlt, and Patricia C. Babbitt). Novel Enzymes Through Design and Evolution (Kenneth J. Woycechowsky, Katherina Vamvaca, and Donald Hilvert).